One less password to remember. 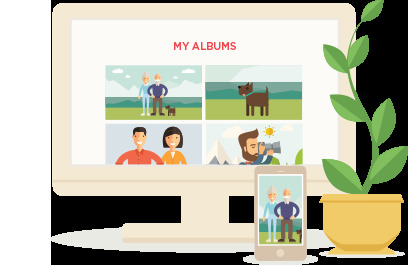 Introducing a fast & easy way to log in to your Photomyne account, using nothing more than your mobile phone! 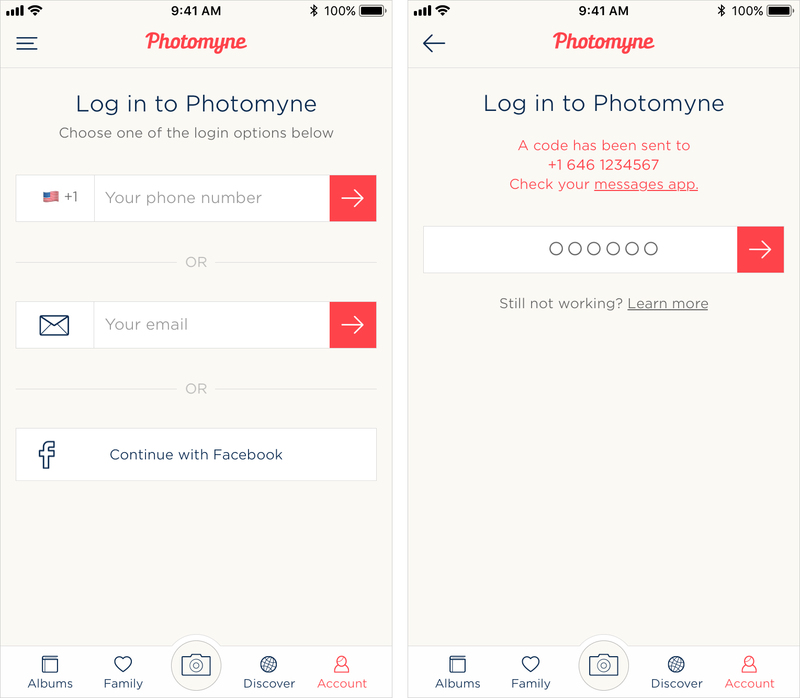 Please note that logging in with your phone number is possible only if you chose this method to sign up for your Photomyne account after completing the account purchase process. Tap the Account tab on the bottom navigation bar. Next you'll see a screen with the different login options. Type your phone number in the first field. Wait for it - the code! Once you submit your phone number, we'll text you a temporary code which you'll be asked to enter in the next screen. It's the fastest and most secure way to log in to your account. If you didn't get the text message with the code, it's possible you entered your phone number incorrectly. Re-type the number and try again. Check your phone's text messages app to see the code, sent by Photomyne. Look for the most recent verification code from Photomyne in your phone's messages app (where you usually receive text messages). Additional issues could be any restriction on receiving text massages from international numbers, cellular connectivity and more. Still not working? Please contact our support team for quick assistance.